COMMENTS : Very nice dress, I would like a thin belt with this. COMMENTS : This is a beautiful dress - would like to see it available in black too. COMMENTS : I love the colour of this dress and can image wearing this dress time and time again. A timeless classic. I would love to see this with 3/4 sleeves to make it versatile to wear all year round. COMMENTS : Beautiful colour, love the sleeves and cut but not the neckline- I'm 33 and would feel older wearing this because of the neckline. If you got rid of the horizontal bit somehow I'd definitely buy it! COMMENTS : Lovely dress but as a teacher I wouldn't wear red in the classroom. Perfect for a date with the hubby! COMMENTS : I would love it especially during this holiday season! COMMENTS : I would like this better with 3/4 length sleeves, red is winters and I think longer sleeves would work better.I would also like it in black. COMMENTS : I like this as it is, longer sleeves would make it look frumpy. COMMENTS : I think Vanessa is right. COMMENTS : It looks old fashioned for me with its sleeves' style and its lower part. I might look better with color black. COMMENTS : I like the redness of this dress. It convey elegance and style. COMMENTS : Love love love this pretty red dress!.. 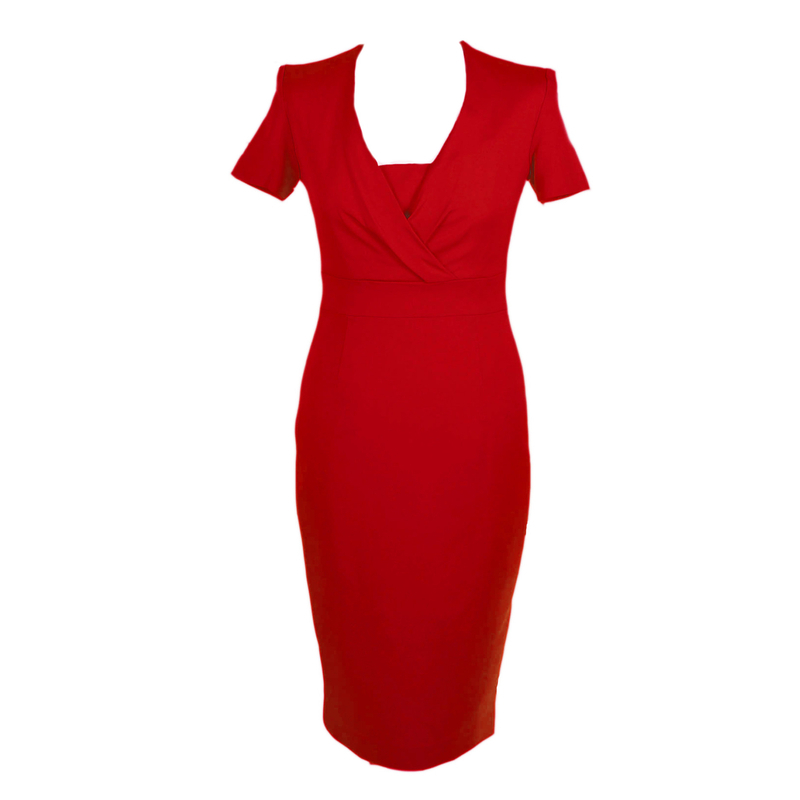 the added coverage built into the design of the neckline is also a plus. I think navy blue would be nice too, and definitely black. COMMENTS : Looks perfect as it is - I like the bust line - it makes it conservative enough for work - whilst being able to inject a bit of colour into my wardrobe - love it! COMMENTS : I love the style, but I'd like to be reassured that the quality of the fabric would be good. COMMENTS : I would buy this style in burgundy or navy as I would never wear red to work. COMMENTS : Love this colour and shape. 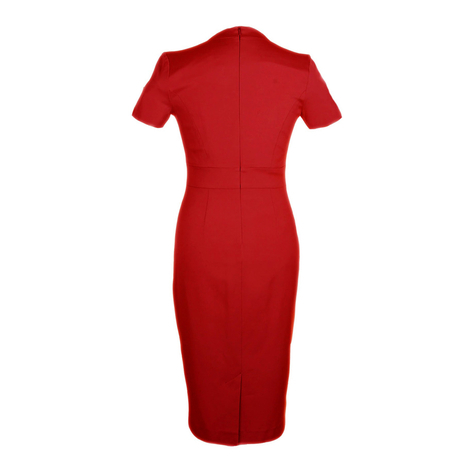 3/4 length sleeves would make this more versatile and it would be great to have a choice of colours. COMMENTS : Lovely sleeve length. I would like this dress to be knee length - just below the knee is too long for me and makes my legs look stumpy. COMMENTS : Great dress but a little pricey.